During the 2013 MAFWDA Annual Convention the Board of Directors and Association Club Delegates had the honor of selecting the inaugural MAFWDA Club of the Year. For 2013 Capital Off Road Enthusiasts, Inc. (CORE) was selected for that honor. Below you will have the opportunity to read the outstanding nomination submitted by CORE members Andrew Taylor and Cherie Wood. I am looking forward to the competition for 2014. Here is a little background before you read on. CORE is organized as a nonprofit organization for the purpose of providing social, educational, and recreational four wheel drive activities for its members and guests, as well as participating in and supporting civic activities for the betterment of the community. During the 2013 MAFWDA Annual Convention the Board of Directors and Association Club Delegates had the honor of selecting the inaugural MAFWDA Club of the Year. For 2013 Capital Off Road Enthusiasts, Inc. (CORE) was selected for that honor. Below you will have the opportunity to read the outstanding nomination submitted by CORE members Andrew Taylor and Cherie Wood. I am looking forward to the competition for 2014.Here is a little background before you read on. CORE is organized as a nonprofit organization for the purpose of providing social, educational, and recreational four wheel drive activities for its members and guests, as well as participating in and supporting civic activities for the betterment of the community. Now the outstanding write up provided by Andrew and Cherie. Despite its small size, CORE has continuously shown its dedication and enthusiasm to the promotion of, and participation in, the off-roading community. 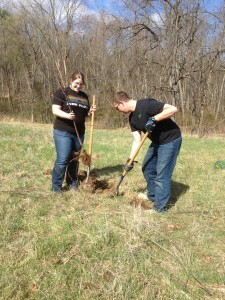 Its core fundamentals include the responsible enjoyment of our shared resources and the commitment to preserving them. Throughout the year 2013, CORE has actively upheld the values of MAFWDA and has made significant strides in development as a representative of its membership. The most impressive contribution CORE has made to MAFWDA can be seen in its participation in the board and the activities pursued in support of the board. First and foremost, their own President, Larry Pope, has enthusiastically taken on the role of President for the MAFWDA. Under his leadership, the MAFWDA community has remained active and has made definitive and impressive headway in positive land use activities. In addition, CORE member Bob Weaver assumed the position of MAFWDA Vice President and member Michael Vincenty holds the position of MAFWDA Secretary. These members have eagerly participated in MAFWDA sponsored events and have worked tirelessly to maintain an active and dedicated membership. In pursuit of this, Michael Vincenty runs and publishes both the MAFWDA website and the Recovery Points newsletter, to keep members informed and to encourage participation. CORE members have also shown their dedication through their participation in MAFWDA sponsored activities and meetings. At the MAFWDA meeting on May 18th, seven of the twelve attendees were CORE members. CORE also manned the MAFWDA booth at the PA Jeeps All Breed Jeep Show, hosted by membership group PA Jeeps. The event took place on July 20th-21st and CORE contributed 10 volunteers to aid PA Jeeps in running the event and promoting MAFWDA in their booth. In addition to participation in MAFDWA-sponsored events, CORE members have also maintained a constant voice in the online community and in off-road publications. In the year 2013, CORE has added 6 new trail reports to their website and has many more planned. They contributed a trip report to the July issue of the MAFDWA newsletter, Recovery Points, on a recent trip to the Green Ridge State Forest. 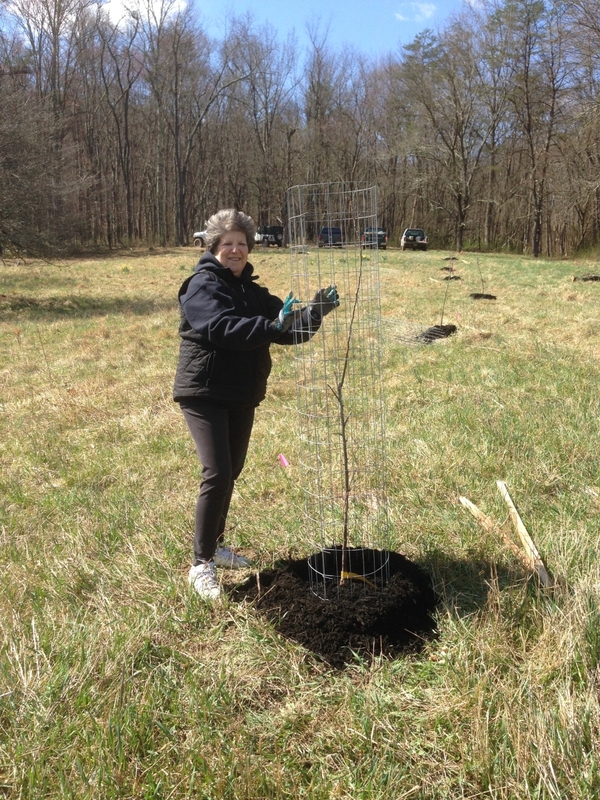 They have also contributed several articles to United’s Voice, including an article on their recent trip to Green Ridge State Forest, and were included in an article about their participation in a volunteering project at Potomac State Forest. CORE has also been a strong advocate for positive land use activities and has participated in a number of campaigns to promote them. 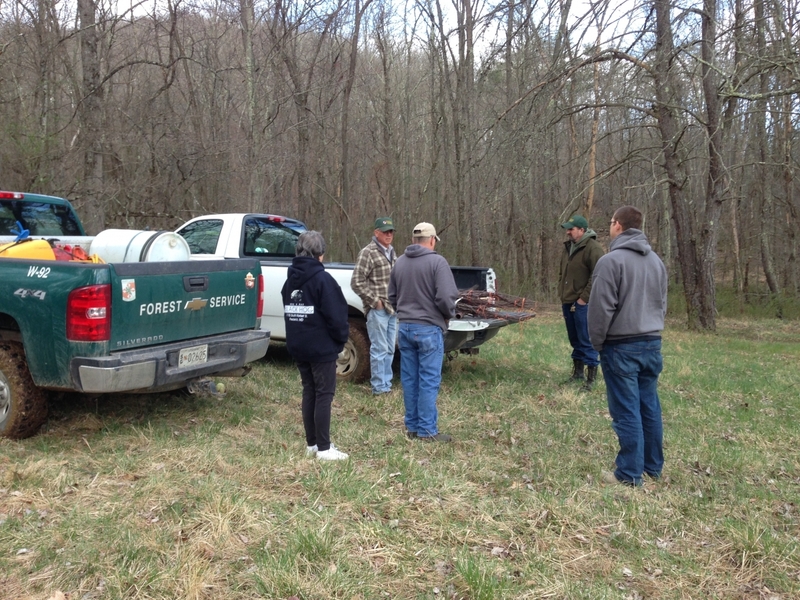 The group spent the weekend of October 11th volunteering at Green Ridge State Forest, helping to maintain the forest and build relationships with the forest staff that may lead to future use of currently closed trails. 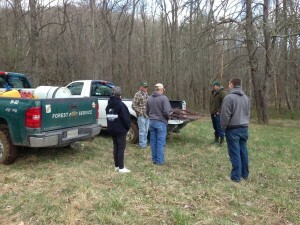 On the weekend of August 2nd, CORE joined MAFWDA in their volunteering efforts at Potomac State Forest. 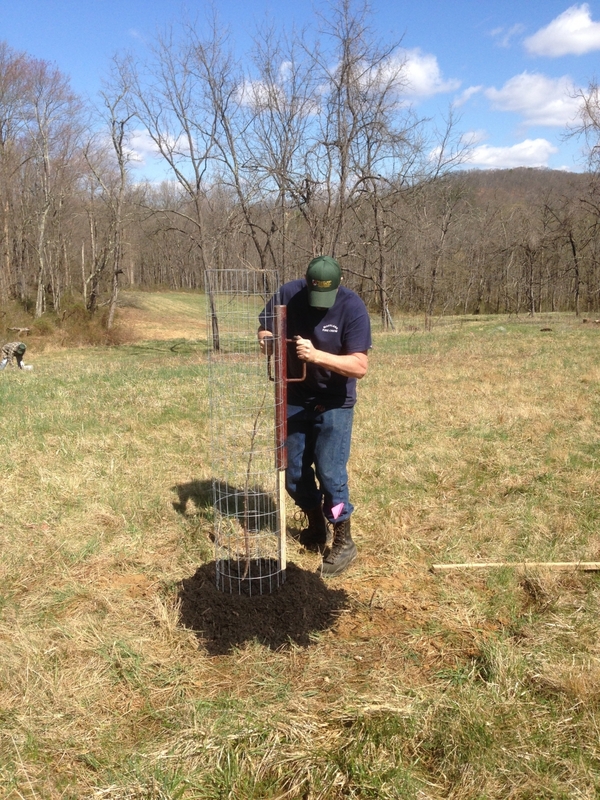 The volunteering efforts at this event helped clear storm damage from Hurricane Sandy and reopen potentially life-saving fire trails to the park rangers. These events helped promote a positive view of the off-roading community in hopes of gaining access to public and private lands, but also as an effort to maintain positive relationships with local land managers and aid in conservation efforts through trail maintenance and repair. Recently, there have been a number of opportunities for CORE members to show their support to the efforts of positive land use in the DNR proposal on the expansion of the ORV trail system. CORE members attended several meetings on this topic to provide vocal support to this cause, including the Maryland DNR meeting on June 9th. CORE members also participated in a number of online campaigns and questionnaires to show their support of reopening public land in Maryland. And finally, CORE became a member of the Maryland OHV Alliance in an effort to support these campaigns and further connect with others in the community. The year 2013 has been an active and prosperous year for CORE and its ongoing efforts to promote positive land use and the enjoyment of fun and safe off-roading activities. They have maintained a steady schedule of events including Big Dog’s Ice Breakers, Wheelin’ for Hope, and trail rides to Casparis, Peter’s Mill, and Flag Pole Knob, among others. They have dedicated themselves to volunteering their time in positive land use campaigns in Green Ridge State Forest and Potomac State Forest, as well as in the online community. Through these efforts CORE has not only exhibited a positive example of an off-roading community, but has also been a prime example of upstanding club membership in MAFWDA. They have made every effort to actively engage their club members in MAFWDA sponsored activities and have gone above and beyond with their enthusiastic participation. Each CORE member is delighted to be a part of such an active and forward-thinking organization and proudly dons their MAFWDA stickers on every rig!